AWS Elastic Beanstalk is an orchestration service offered from Amazon Web Services for deploying infrastructure which orchestrates various AWS services, including EC2, S3, Simple Notification Service (SNS), CloudWatch, auto scaling, and Elastic Load Balancers. Currently AWS Elastic Beanstalk only supports .NET Core 2.0. First I created a ASP.NET MVC app, then I added a aws-windows-deployment-manifest.json. Next I added a preinstall step. And in the preinstall step I added a PowerShell script which will download the .NET Core 2.1 runtime and install it on the server. Here is the aws-windows-deployment-manifest.json file. And here is the PowerShell script file. 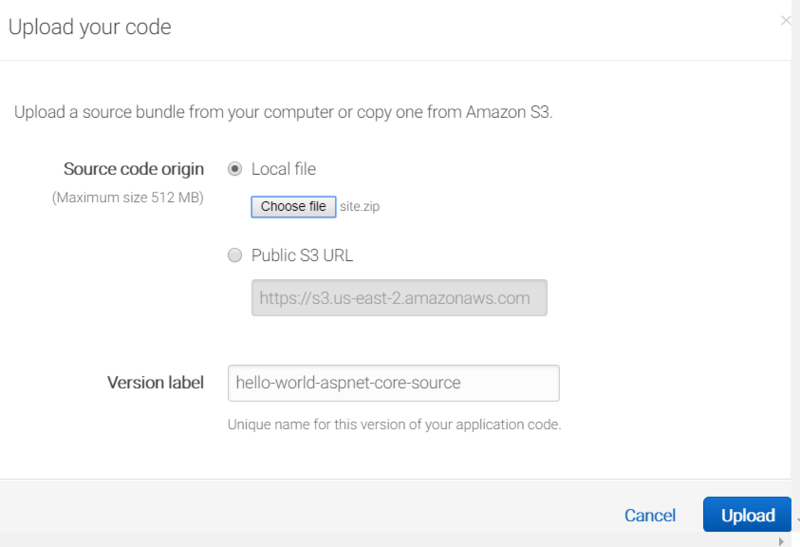 Script is quite straight forward, first I am downloading the runtime file from internet, and installing it in AWS. Next I published the app using dotnet publish command. And zipped the output directory, for deployment. 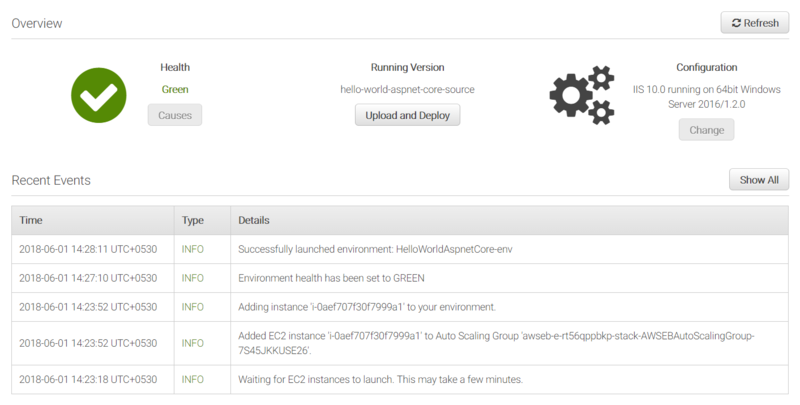 Next I created a web application in AWS Elastic Beanstalk via AWS Management console. And for application code I choose Upload your code option. Both Uploading and deployment will take sometime. Everything went well, but due to some issues, I was getting a Process Failure error when I am trying to access the application. The error was something like this. - Application '...' with physical root '...' failed to start process with commandline '"dotnet" .\hello-mvc-net21.dll', ErrorCode = '0x80004005 : 80008083. I couldn’t find anything useful. I tried different options like removing wwwroot folder, redeploying, but nothing worked. Later I found an alternative, deploying it as a self contained application. So I changed the csproj file like this. Added the RuntimeIdentifier as win-x64. And then published it using dotnet publish -o site -c Release command. The site folder compressed and saved it as site.zip. Removed the preInstall step from the aws-windows-deployment-manifest.json file as well. And deployed again. And it started working. 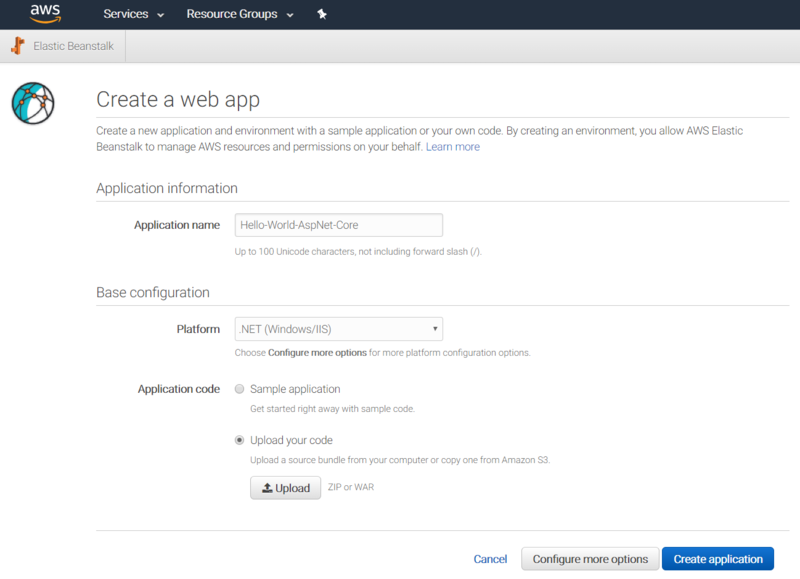 Here is the ASP.NET Core app running in AWS.